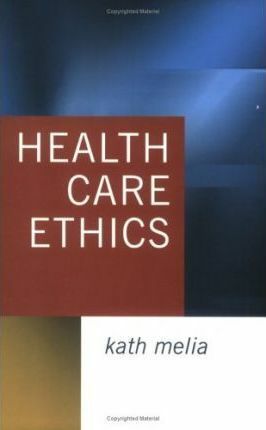 Health Care Ethics examines the way ethical dilemmas are played out in everyday clinical practice and argues for an approach to ethical decision-making which focuses more on patient needs than competing professional interests. While advances in medical science and technology have improved the ability to save and prolong lives, they have also given rise to fundamental questions about what constitutes life and personhood, especially in the context of what are termed 'persistent vegetative state' and 'brain death'. Drawing on the example of intensive care where such questions feature strongly in everyday practice, Kath M Melia examines how decisions are taken within the context of multiprofessional teamworking, including * whether to admit a patient and commence treatment * what the aim of treatment should be (i.e. palliation, care or cure) * when to limit, withhold or withdraw treatment * when to donate organs. As an area in which different professional groups work closely together, the author argues that there are lessons to be learnt from intensive care which can be applied to ethical decision making in all areas of health care for the greater good of patients. The book makes a significant contribution to the literature on ethics in health care and to the development of ethical decision making which prioritises the needs of patients. It is essential reading for ethicists, sociologists and health care professionals.